Please check any activities in which you have an interest. The Chairperson will contact you, but there is no obligation to join. Please call or email the Club Coordinator (contact information can be found in the monthly newsletter) if you have not been contacted within 3-4 weeks, or if you have ideas for a new club. 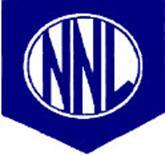 The NNL Board has many positions filled by newcomers to the club. NNL members are encouraged to join a committee right away and serve on the board during their first 24 months as a member. This is the easiest and fastest way to make friends and introduce you and your family to activities in Corpus Christ. Which type of position(s) or committee(s) would you consider?